With Cash for Cars Adelaide, we combine our services as a courtesy to car sellers for fast and convenient car sales. Contact us for a cash quote & to schedule a free car removal in Adelaide, SA. We pay up to $9,999 cash. 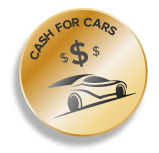 At Cash for Cars Adelaide, we provide free car removals that are fast and convenient. Perhaps, you haven’t moved the old Subaru in years. The wheels are flat, the body rusted, and the engine won’t turn. Not to worry. Push it to a spot in the yard that allows our tow truck driver to access the car, and we’ll come to buy & remove the car at no cost. Maybe the car is in great running condition, but you want quick cash to upgrade to a newer model. We’ll buy & remove it for free. Regardless of the condition of your car, we will remove the car anywhere in Adelaide, SA for free. We are your local removal company that offers fast & convenient Adelaide car removals that are always provided as a complimentary service. When you have a few minutes to spare, we’ll be there to buy and remove your car. 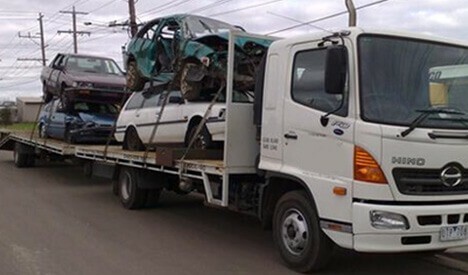 We are car buyers in Adelaide, SA that offer hassle free Scrap Car Removals in Adelaide, SA. You won’t go to go to the work of preparing the car before our picking it up, nor will you have to load the car. We provide courtesy car removals with our technicians doing all the work, and you simply collect our cash payment for your car. As the car removal company in town that doesn’t remove cars unless we purchase the cars from the owners, car owners get cash payments up to $9,999 for the sale of their cars. We make obtaining a quote simple, offering quick quotes over the phone and online. Contact us for a quote up to $9,999 cash. We are known as the removal company in Adelaide that pays top cash for cars of all makes & conditions. Fast services, including free car wreckers and recyclers, and top cash payments leads many people to Cash for Cars Adelaide. More importantly, we are a trusted removal company in Adelaide, SA that has the years of experience in the business to make a difference in the quality provided when selling cars. We are a removal company that offers convenient services at no cost to our customers, and one that enjoys being the top-rated removal company that car owners turn to when selling cars. Cash for Cars Adelaide has a team of qualified specialists that make fair cash quotes for cars and provide superb services. Contact us for a cash quote for your car for sale. Provide our appraisers with the details of your car, including the make, model, year, and condition. While waiting for our removal technician to arrive, clear out the personal belongings of the car, and gather its title or registration and your driving license. With that, you simply wait for the chore of counting your cash for the sale of your car. Cash up to $9,999! For a quick quote for your car for sale, contact Cash for Cars Adelaide at the number below, or through our online form at the top right. We are ready to buy your car today.